Yep these are absolutely horrible! No mechanical process to flush, you meant to wash your behind with a hose or a specially provided water jug which looks like a watering can. I’m sure people are reading this thinking I’m horrible and nasty and judgmental for criticising how other cultures relieve themselves. I know this to be mostly uniform in Islamic places, as I’ve seen it in Arab parts of Israel (but not in the Palestinian ruled cities of Bethlehem and Jericho which rely on tourism) in Petra, Jordan, even in my own city of Portsmouth (sitting an IT exam) in a small office run by a religious Muslim, and in a house of a Muslim man in Leicester who sold me a car had these water jugs next to the lavvy. For a lot of tourists considering visiting a nation like this, its something of a deal breaker having a civilised way of using the loo. This will put them off coming completely. 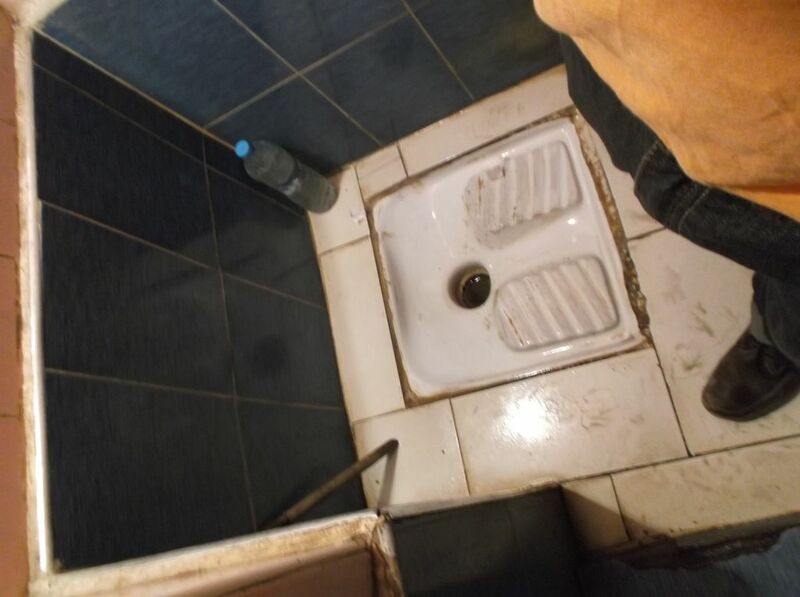 In places expected to be used by foreigners, then in restaurants, hotels, you will find ‘orthodox’ type of toilets. In railway stations and tea salons you may only be limited to just these….